Use Kimberbell bench pillows to add a beautiful decorative touch to your home, which can be customized to fit each holiday season and special occasion. 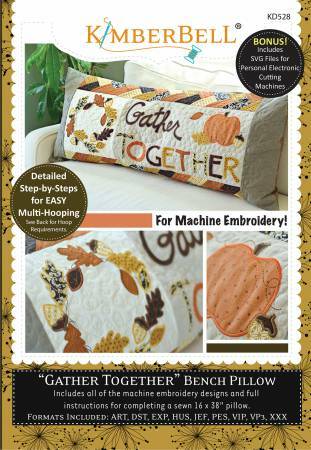 All projects include instructions for making the pillow form, machine embroidery appliques and the finished pillow. Friendship Braid border blocks are made in the hoop.